Q. In What Country is PROFAUNA's Headquarters Located? Q. Does PROFAUNA work for cats and dogs? A. PROFAUNA is a non-profit organization working for issues related to forest and wildlife protection, so we do not work for domestic animals such as cats and dogs. Q. Is PROFAUNA an 'animal lovers' organization? Q. Where does PROFAUNA get the funding? Do you take funding from the government? A. To maintain our independency, PROFAUNA does not take funding from the government. Our financial support came from individual donors, donor institutions, and companies who care about the environment. 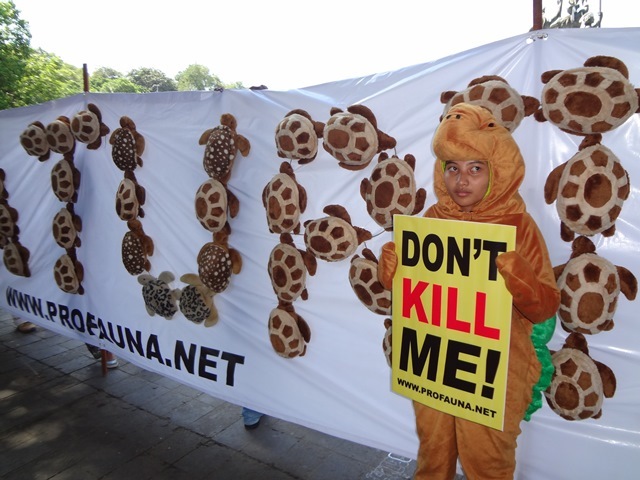 PROFAUNA also does not take any funding from companies that harm the environment. Among our main donor is Petungsewu Adventure, who also run Petungsewu Wildlife Education Center (P-WEC). Q. Does PROFAUNA only work for wildlife? What about their habitat? Q. How can I join PROFAUNA? Q. Can PROFAUNA confiscate traded protected wild animals? A. PROFAUNA does not hold the authority to confiscate traded wild animals, even if it is a protected species. It is the authority of law enforcement bodies such as the Nature Conservation Agency of the Police. However, PROFAUNA can help by providing information and working on the advocacy. Q. Does PROFAUNA work with local communities? 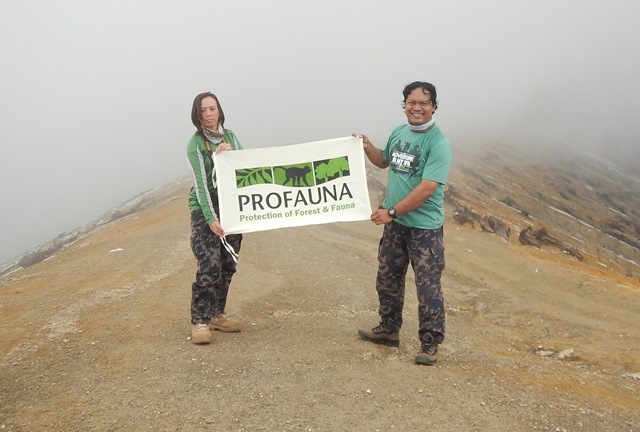 A. PROFAUNA works very closely with local people and communities, because we believe that their involvement is very effective in nature conservation efforts. 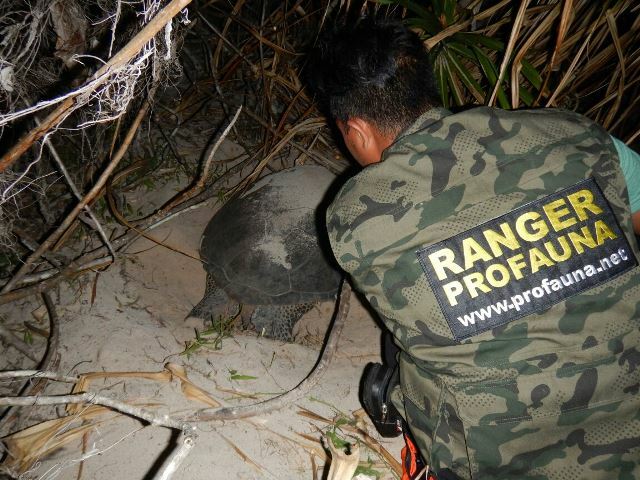 In many places, PROFAUNA collaborate with local people, for instance for forest protection issue in East Kalimantan where PROFAUNA partner with the indigenous people of Dayak Wehea, and the same for our sea turtle protection program in Bali. Q. How do we report cases of wildlife trade, poaching, or abuse? A. Such information can be sent to PROFAUNA by email to pengaduan@profauna.net. But we need to inform you that we do not hold the right to take direct action towards wildlife traders or poachers. PROFAUNA will gather and forward the information to the concerning authorities. We will also try our best to make sure that the cases are legally processed. How the Police or the Nature Conservation Agency takes the cases are beyond our control. Q. Where are PROFAUNA's offices? Q. What are PROFAUNA's programs? Will I get paid if I join PROFAUNA's programs? A. Everybody taking part in our programs like campaigns, education, and others are not paid because they are volunteers. 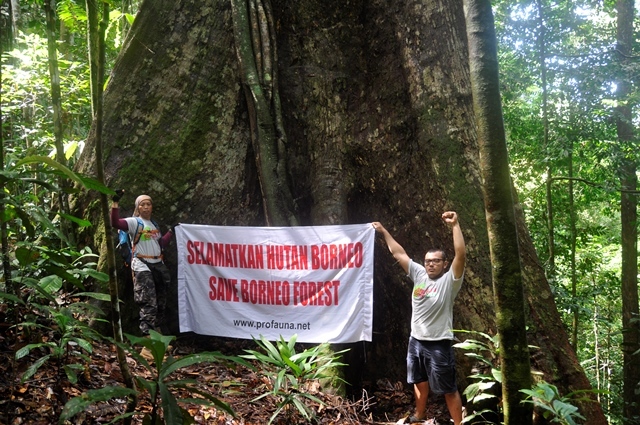 This is a part of our grassroots movement to protect the wildlife of Indonesia. Q. How do I apply to become PROFAUNA's Ranger? A. PROFAUNA's Ranger is a unit consisting of PROFAUNA's activists who dedicate their time and energy to protect forests hands on. The opportunity opens for anybody who is available to work in the field for several months. This program is designed as PROFAUNA's active participation in protecting Indonesian forests, because real actions speak louder than words. If you are interested please enquire to profauna@profauna.net . If you are accepted, you will have to attend a short training before you get deployed. Currently PROFAUNA's Rnager is focused at Wehea forest (East Kalimantan) and Yang Highlands Wildlife Reserve (East Java).